The Alfa Romeo 4C Spider sports a carbon-fiber chassis for weight savings and stiffness to maximize performance and handling. 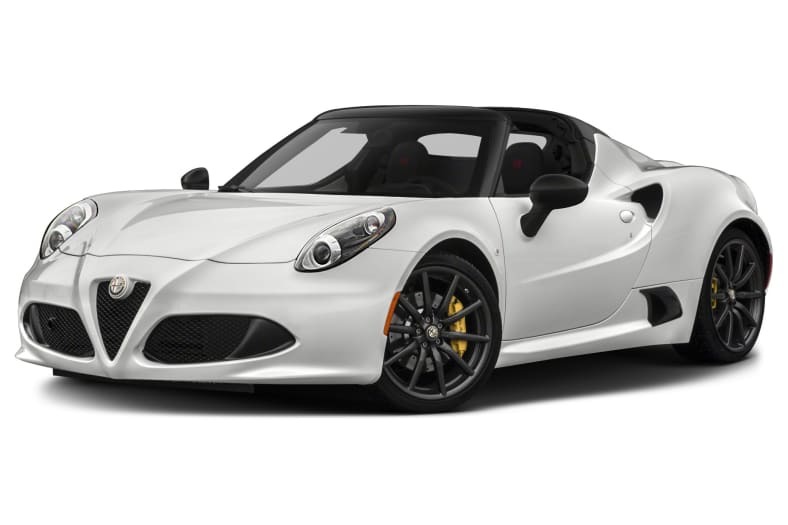 The Alfa Romeo 4C Spider isn't about luxurious creature comforts or cutting-edge tech. It is about light-weight and grin inducing handling. A mid-mounted, turbo-charged 1.7 liter four-cylinder engine sends 237-hp to the rear wheels. Four-wheel disc brakes with 12-inch Brembo fronts bring it to a stop and staggered width wheels and tires provide cornering grip. The 4C seats two in performance oriented buckets while the minimalist cockpit and flat-bottom steering wheel also lend to the focused driving nature of this car. For 2019, a rear back-up camera has been added as standard equipment.